I made the bouquets for Brittnie, her Bridesmaids and the boutonieres for her man party, a while ago. It was a pleasant surprise I came across the awesome photo blog of Russell Martin Photography and found these beautiful photos of her wedding! This is the most charming wedding I've ever seen and Russell Martin Photography had captured wonderful moments. 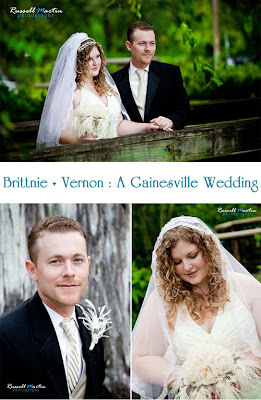 Congrats Brittnie and Vernon and wish you all the best! Thank you Russell Martin Photography for taking so beautiful photos :)!